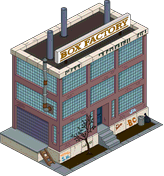 Should I Spend Donuts On the Box Factory? We’re a few days into 2019 and it’s time for our first update of the year! Not Yet Spring Cleaning, the latest mini-event in Springfield, is full of content we’ve been asking for! (Springfield U, Alice Glick, Land Tokens..to say the least!) And of course, an all-new mini-event provides a great excuse for EA to throw premium content at us! -A permanent 4hr premium task for Martin, Run Away From Change. This is a premium “on the fence” item for me. It’s a classic building, but at that price tag, I think it’s overpriced. While it’s nice that it has a permanent task for Martin, I do think it’s better to wait on this until it comes back at a discounted price. I’d pass and wait for this to come back at a big discount. It’s too pricey, in my opinion, for what it is/does. Skinner: Martin, since you’ve sacrificed your social life to get the best grades in class, I’m letting you pick the class trip. Martin: Wow, such a sacred educational responsibility. Bart: Martin, buddy! Want to play naive astronauts and hostile aliens with me at recess? Say, have I ever told you how much I’ve wanted to visit a real space ship factory? Martin: Why waste our field trip on such high tech endeavors when we can witness the old time charm of the Box Factory! Bart: Whoa! Look at all these drones! I bet I can use one to prank Homer. Martin: What’s happened to all the history? The elegant simplicity of folding generic boxes by hand?! Milhouse: Look at me! I’m a package being delivered. Skinner: Bart! Stop trying to send Milhouse away with free two-day delivery! Martin: Hell is empty, and all the demons are here. Skinner: Well students, in order to justify this as educational, I have to give everyone a grade — A’s all around! Everyone, except Martin that is. Since he ran away he’s getting an incomplete and failing this assignment. Martin: But that will ruin my perfect GPA! I’ll never be able to go on after this! What are your thoughts on the Box Factory? Will you be spending the donuts to bring it to your Springfield? Did you already? Why or why not? Where have you placed it in your town? Sound off in the comments below, you know we love hearing from you! This entry was posted in Mystery of the Brown House, Not Yet Spring Cleaning, Should I Buy, Tapped Out and tagged Alice Glick Mini Event, box factory size, Lewis Clark, Mystery of the Brown house MIni Event, New Year 2019 Mini Event, Not Yet Spring Cleaning Mini Event, should I buy the Box Factory, Tapped Out Mini Event, Tapped Out Tips and Tricks, task at the box factory, The Simpsons Tapped Out, TSTO 2019 Events, TSTO Addicts, TSTO Mini Events, TSTO Tips and Tricks, what does the box factory do. Bookmark the permalink. Anybody…any indications of a new event tomorrow? Sorry Sandy… just getting a little antsy for a new event. Finished this one on Sunday and was thinking it was only a week long, like the 4 part Christmas minis. Should have paid more attention, or at least checked the “expiration date” on the stuff in the store. Guess I’ll just take a break for a few days and play a bit of Monkey Wrench (a word game) in the app store. At least I’ll be improving my vocabulary…😆🤷‍♀️. Another easy pass on a nondescript square box. Somethings are best left in the show and our memories. Pretty easy pass. Let’s just say it. There is no “perfect.” Only what works for you. MY BOY’S A BOX! DAMN YOU……A BOX!!!!!! My brother in law’s mom works in an honest-to-god box factory so this was a must-get for me. I’ll take a high tech cardboard folding hard pass on this. Hi Alissa! I just want to say THANK YOU for every column you write that starts with a “Should I buy…” It’s always so tempting to immediately jump on anything new that hits the store, but, so much better to wait for you to give the item the full pros/cons break down. Saves lots of donuts, and buyer’s regret for buying something that essentially isn’t going to benefit me after the event. I appreciate all that you and the other addicts do to make this game so much more fun to play! Thanks again! I think 65 is just the new standard for premium buildings like 150 is for characters.